Beautiful wide shot an old Cistercian Abby in Ireland. 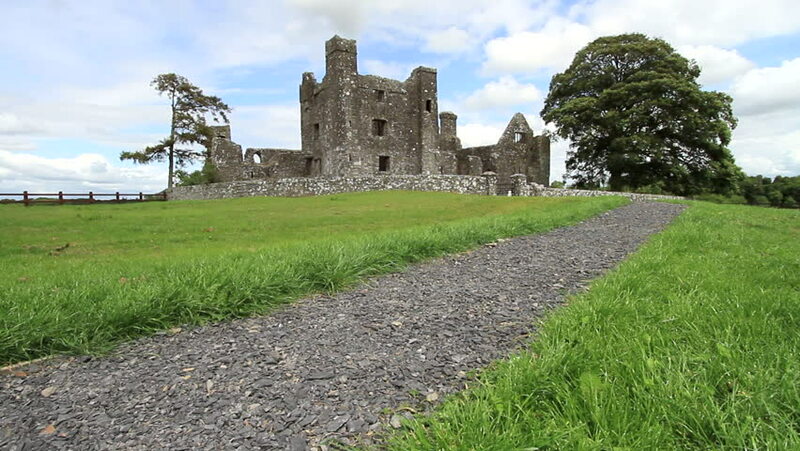 This ruined abbey is Bective Abbey founded in 1147 and was used in the shooting of Mel Gibson's film, Braveheart in 1995. 4k00:28PENRITH, ENGLAND - MAR 2016: Brougham Castle ruins England meadow river park. Founded early 13th century. Castles, forts and medieval buildings. Tourism cultures of northern England and Scotland. 4k00:10View of the north and south towers of the Koporye Fortress. Leningrad region, Russia. Time lapse.